Rafael Nadal and Novak Djokovic made their entrances at Roland Garros yesterday, but both found themselves upstaged by a lucky loser and his 88-year-old grandmother. 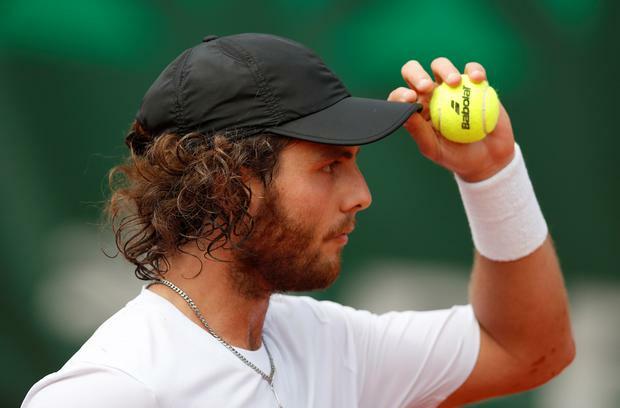 Argentinian Marco Trungelliti, beaten in French Open qualifying last week, was back home in Barcelona on Sunday when, after a spate of withdrawals, he got the call to replace the injured Nick Kyrgios. The 28-year-old had his family - including grandmother Daphne, who was in the shower when the call came - staying with him, but within five minutes he had packed them all into his car to embark on a 10-hour, 1,000km drive to be in Paris in time to sign in. It was worth the trip as Trungelliti, ranked 190 in the world, went on to beat Bernard Tomic to net a cool €79,000 - almost treble what he had earned over the rest of the year. Trungelliti, who arrived in Paris just before midnight, was on court for an 11.0am start after just a quick warm-up and ran out a 6-4, 5-7, 6-4, 6-4 winner. Nadal, looking for an 11th title on the famous clay, was two sets to the good but a break down in the third to Italian Simone Bolelli, himself also a 'lucky loser', when rain stopped play. Djokovic, the champion in 2016, secured a straight-sets win over Rogerio Dutra Silva on his return from an injury absence which has seen him dip out of the world's top 20 for the first time since he was a teenager. Stan Wawrinka bowed out after a three-and-a-half-hour marathon against Guillermo Garcia-Lopez. Women's second seed Caroline Wozniacki cruised into the second round with a straight-sets win over Danielle Collins, while Maria Sharapova's belated return to the tournament was delayed by the inclement weather.